Shortening free peanut butter whoopie pies! Was inspired by Cat Morley's PB whoppie pies. Until i discovered i didn't have any shortening. so i adapted the recipe a little bit. 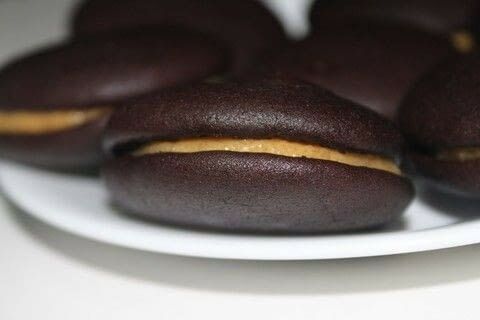 so anyone who wants to make whoopie pies with peanut butter, but can't get their hands on shortening can try this out. i guess it depends on you peanut butter. Use a small bowl to mix the flour, cocoa powder, baking soda and a pinch of salt. Using an electric mixer, mix the butter and peanut butter. Add in the brown sugar and mix completely. Pop one egg in along with the vanilla. add in the flour mixture to the electric mixer and slowly add in the milk. Line a baking tray with parchment paper and use a cookie scooper to drop batter onto the tray. bake for 15 minutes. 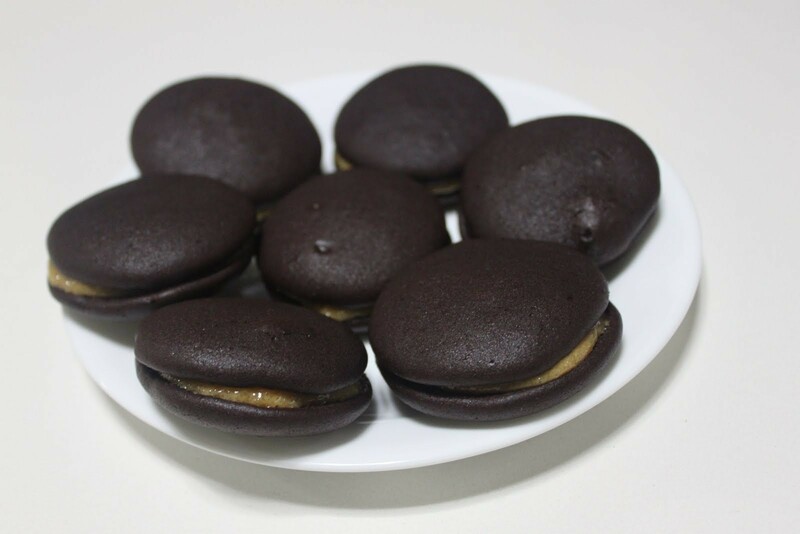 I made a peanut butter flavoured icing from martha stewart.com. mix it together and pipe it onto one whoppie pie, and sandwhich it with another. i made 28 pies with this recipe.